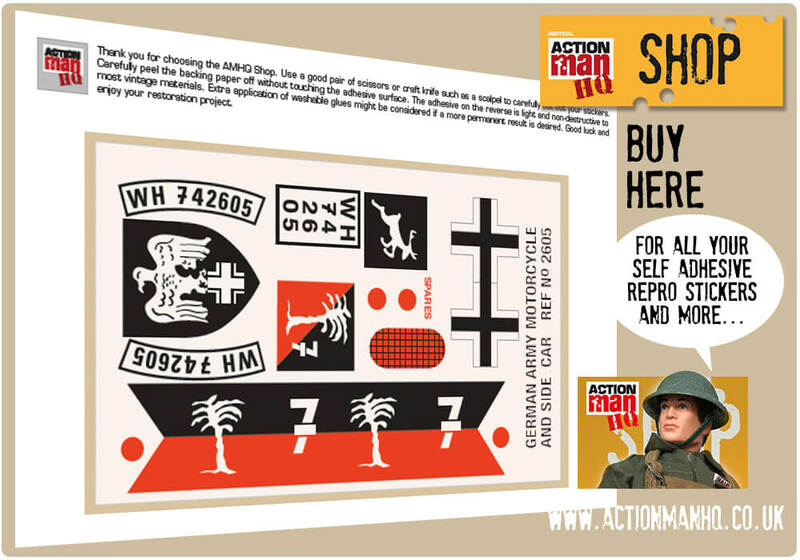 "An authentic new Action Man accessory with seating for two Action Men and swiveling machine gun". 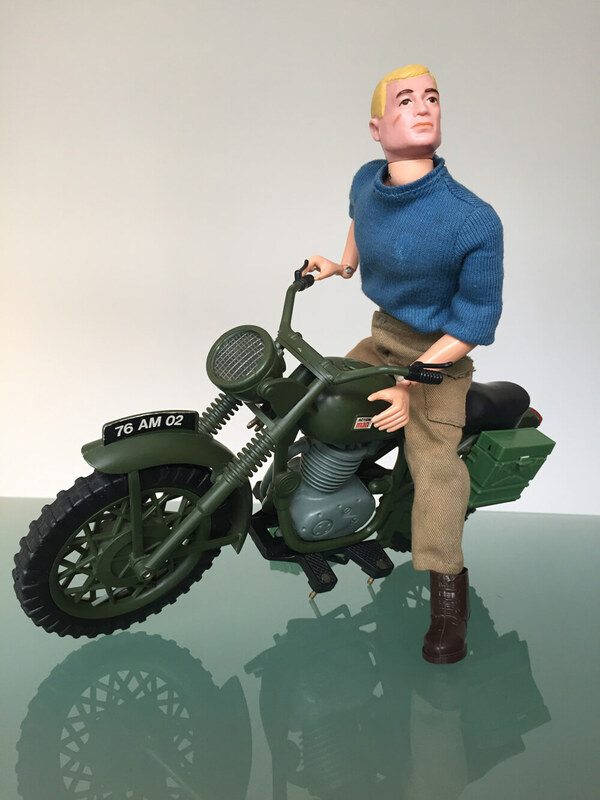 The Action Man Motorcycle Combination first appears	in	the	1976 Equipment Manual. 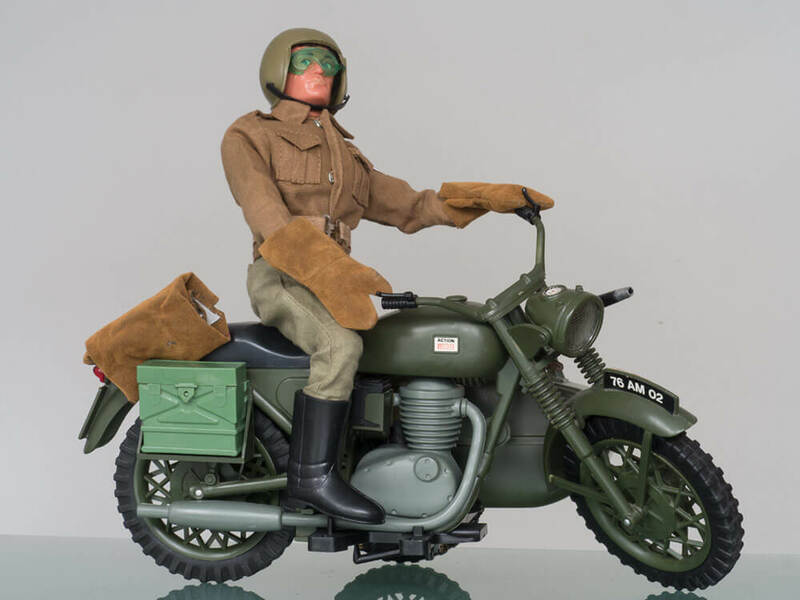 "Authentic" is perhaps in response to losing sales to rival firm of the time 'Cherilea', who also made so wonderful vehicles to suit Action Man. 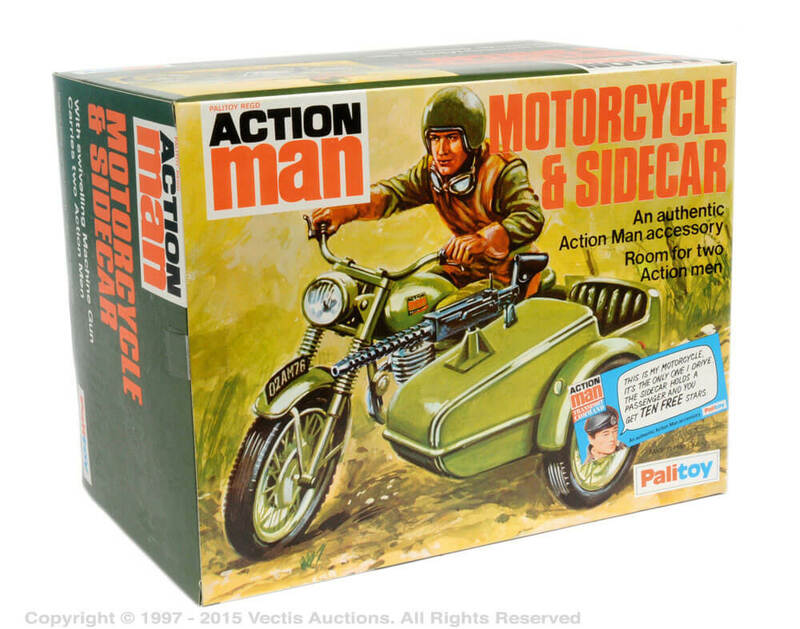 Also 1976, the Action Man Despatch Rider was created for the new motorcycle and sidecar. 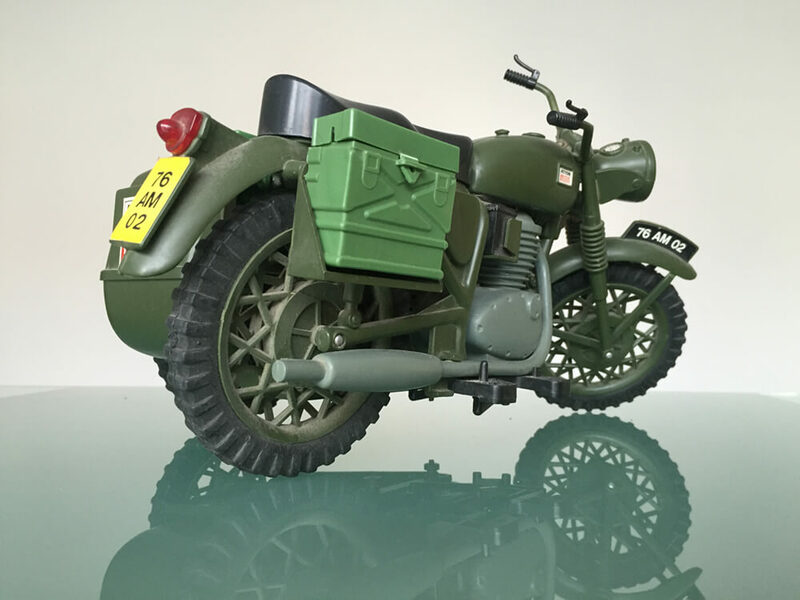 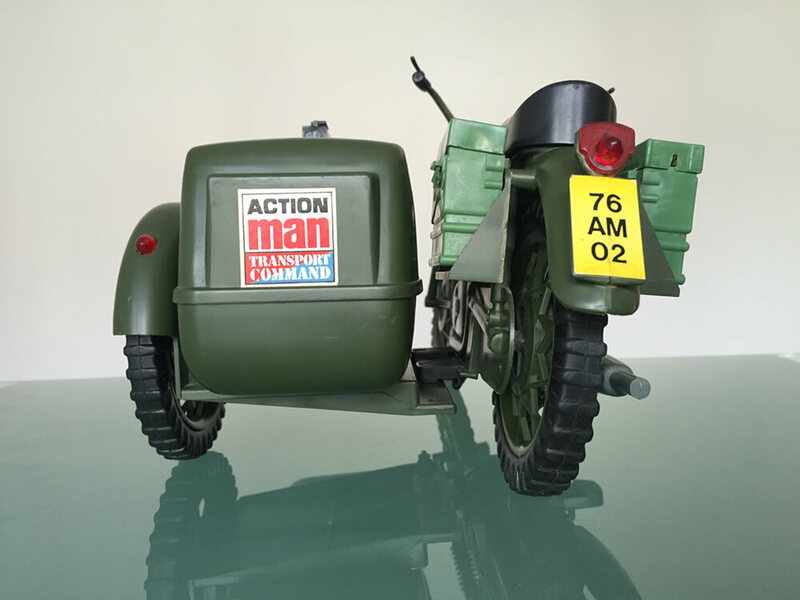 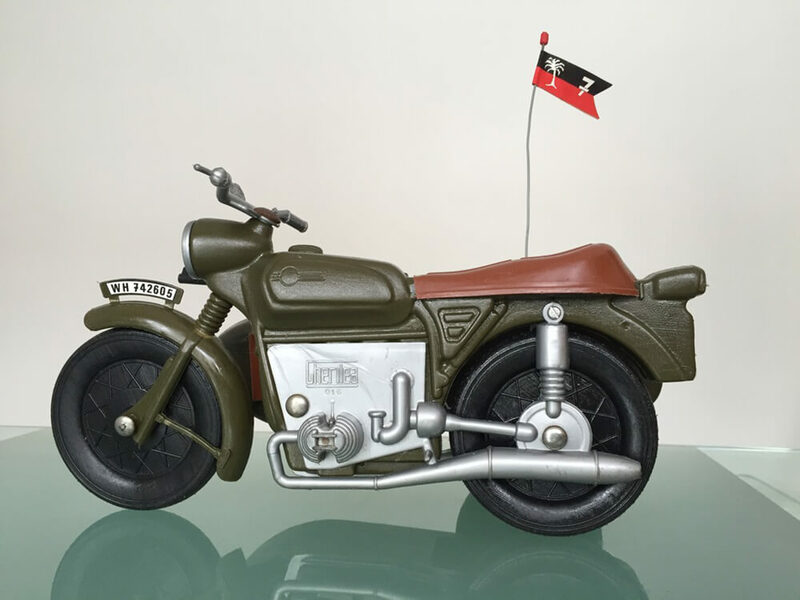 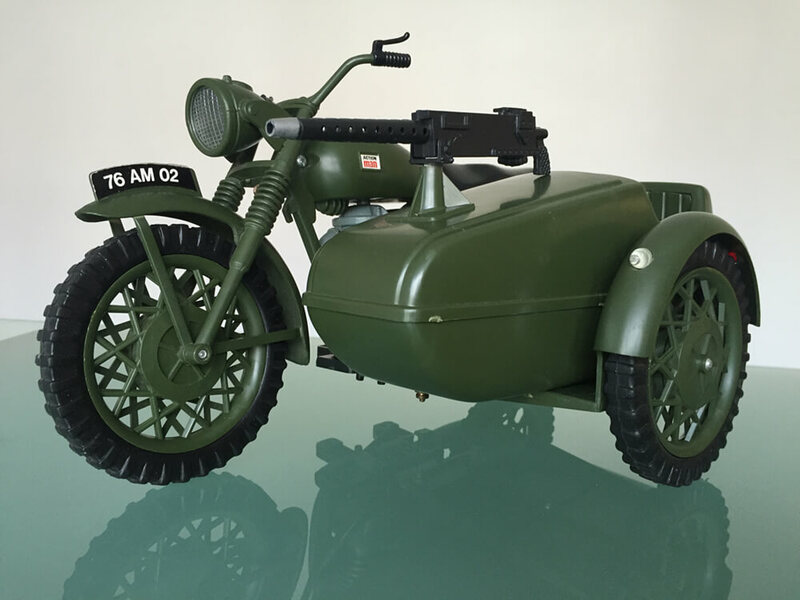 The Action Man Motorcycle 'Combination' as it was called in the 1977 Equipment Manual, was actually boxed as the 'Motorcycle and Sidecar'. 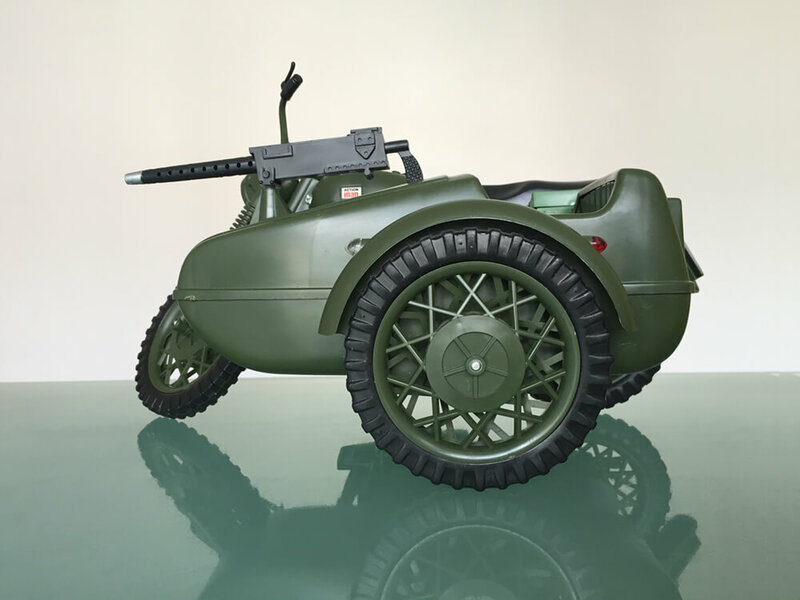 Made of a harder plastic than the tough blow-molded transport, this product was a little brittle and prone to damage when used in play adventure. 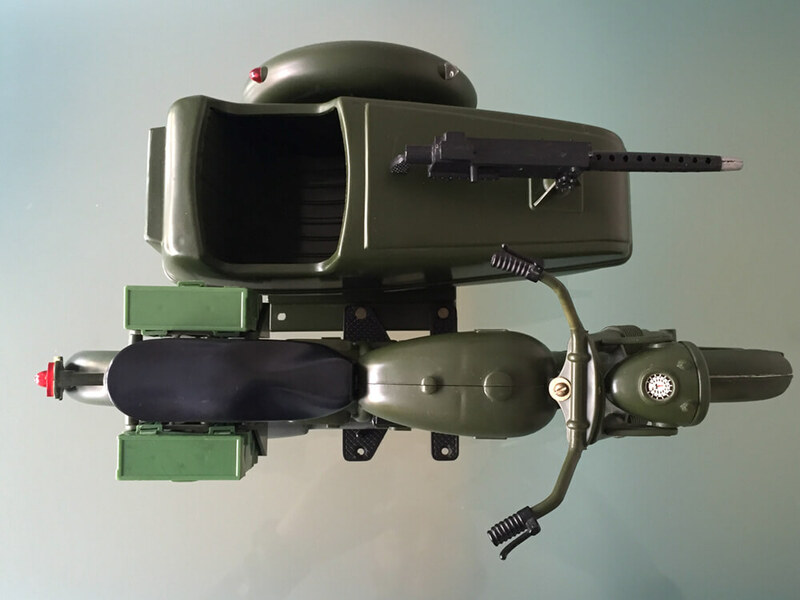 The sidecar can be affixed / removed by undoing two screws on the baseplate. 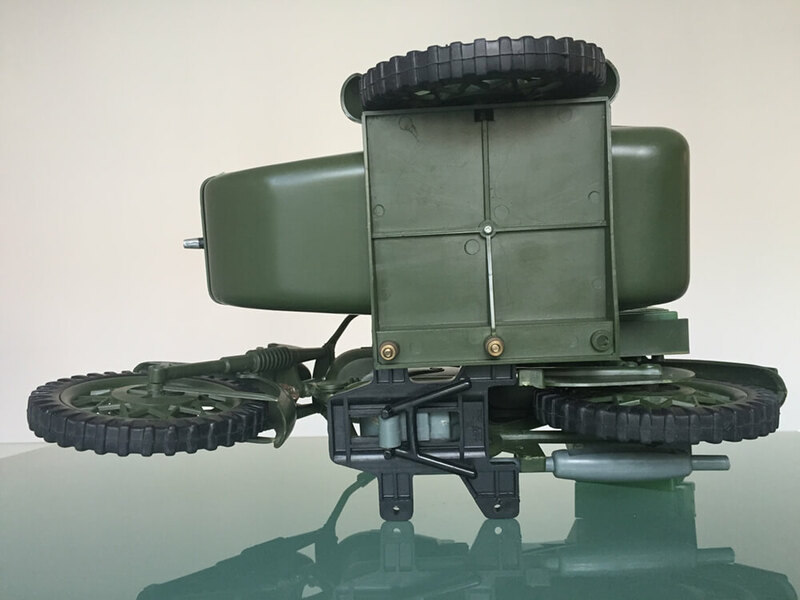 This baseplate is fragile and usually shows lighter stress marks. 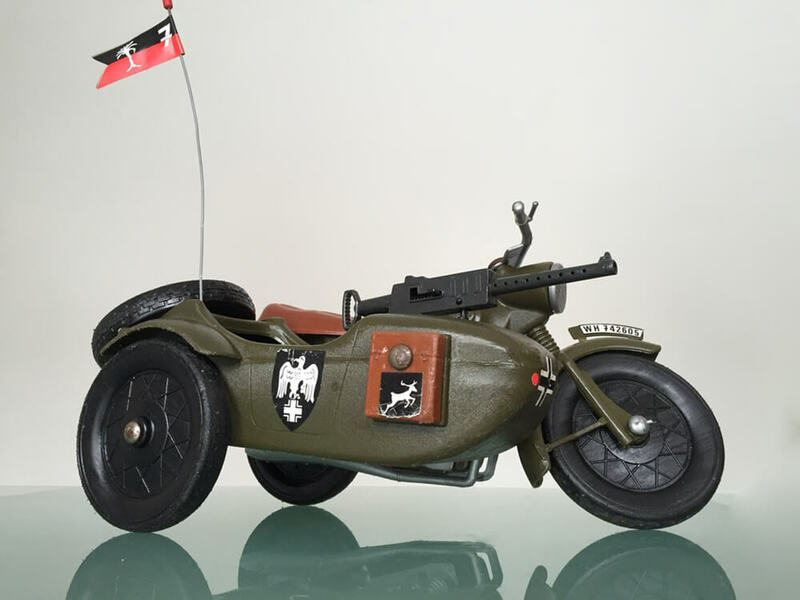 The brake levers are also very vulnerable to damage. 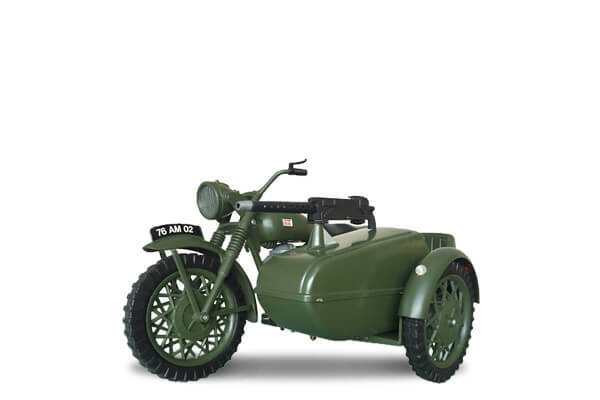 In the same year a Despatch Rider was created for this vehicle. 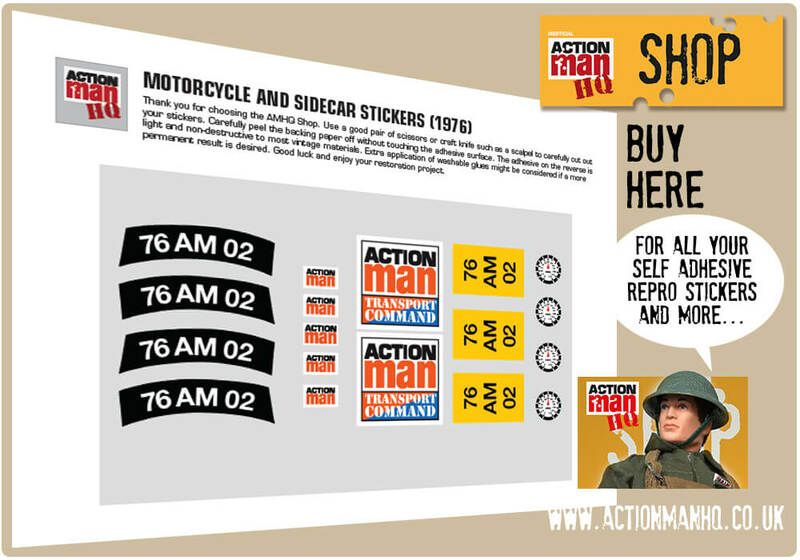 Action Man Motorcycle Combination plan view - This shows two radio sets, but one should be the ammo box.